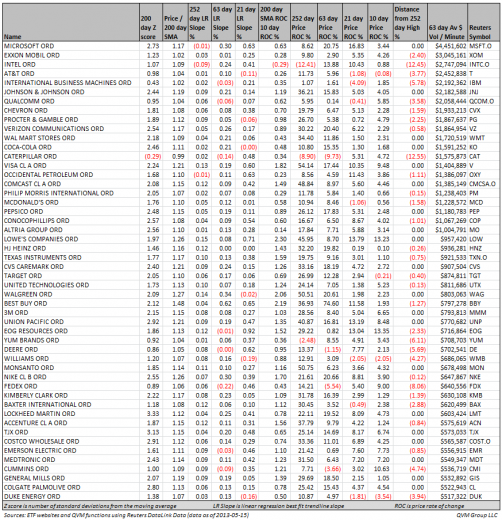 This table presents price chart conditions data for the 50 most heavily traded persistent, consistent dividend payers (based on the “Dividend Champions” list maintained by David Fish DripInvesting.org. 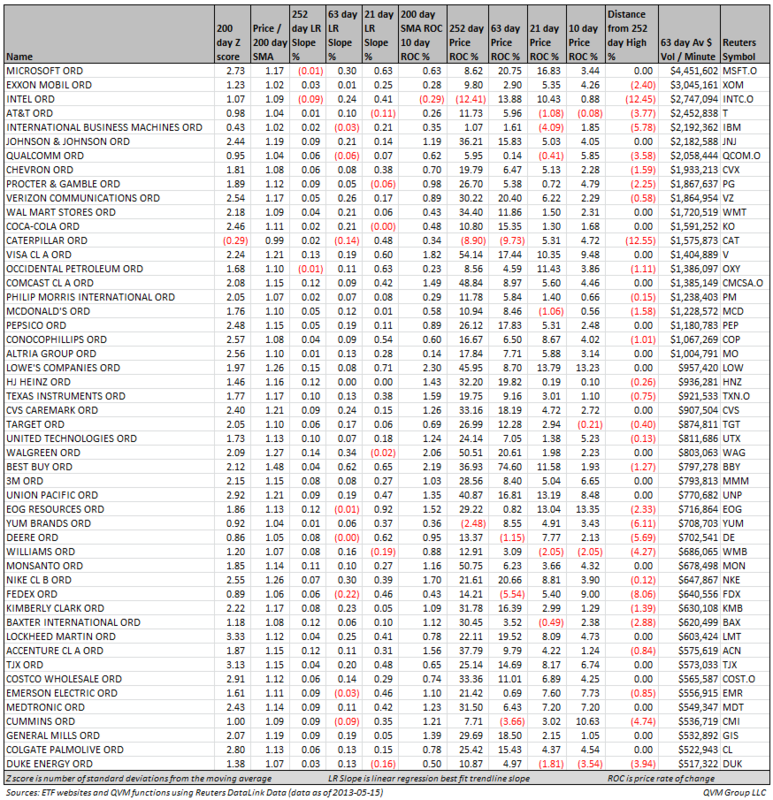 Stocks on that list must have paid and increased dividends each years for at least 5 years. All have prices at or above their 200-day moving average, except for CAT which is 1% below the average. All except MSFT, INTC and OXY have positive 252-day linear regression slopes. All except INTC show the last 10 days of the 200-day moving average to be tilted upward. All but INTC, CAT,and YUM have positive 252-day price changes. All but T, TGT, WMB, and DUK are up over the last 10 days. Those at least 5% below their 252-day trailing high price are: CAT, INTC, FDX, YUM, IBM, and DE. This entry was posted on Thursday, May 16th, 2013 at 2:06 PM and is filed under Data, Dividend Income, Dividend Stocks. You can follow any responses to this entry through the RSS 2.0 feed. Both comments and pings are currently closed.